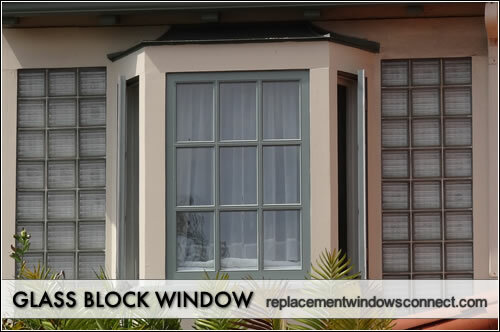 Glass block windows can be used by homeowners for both interior and exterior applications. Glass block windows can be installed instead of more fixed windows to let light in from the outside, while affording more privacy and security than most other window types. They can also be used in innovative ways within the home to add decorative accent and interest to an interior home design. 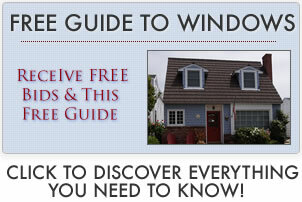 These windows are most often used in locations in which privacy and security are desired. That is because even if left clear, they distort the view through the window. The windows can be textured, tinted or finished so that they provide additional privacy. This allows light to filter through the glass without allowing a view through the glass. In addition to the privacy they offer, glass block windows are unique in the amount of security they offer. They are fixed windows (they don’t open) and are in the neighborhood of 3″ thick, making them virtually impossible to break into. This makes them an attractive option for locations that require heightened security without skimping on light. They can be made of glass or acrylic and can be solid or hollow. Of course, their most unique feature is their look, since they do not look at all like other, more traditional windows. Buying per block is more expensive than buying pre-assembled units. The more expensive per block price is for specialty glass products that have unique finishes, patterns or colors. Expect to pay $100 to $800 for installation per project. These windows can be used in most exterior window applications, although they are more typically reserved for decorative accents or places where heightened privacy or security is desired. This includes places like bathrooms, kitchens, basements and garages. The glass blocks can also be used to separate two interior walls or can even be used as a unique shower enclosure. Glass block windows are also often found in commercial environments to add light along with added design. Back in the 19th century, the windows were first used in factories and plants to let in light while providing privacy and security. Their more decorative applications for business and home use then evolved over time and really exploded during the Art Deco phase of design. The very characteristics that are seen as benefits can also be viewed by others as drawbacks. For example, since the glass block does not allow a clearly visible view through the glass, the view is distorted. This can be seen as a drawback by some, but for those looking for clear views through their windows, glass block windows are not the right option. Another drawback is that these windows offer no ventilation, since they are inoperable. Again, this is a known detail before installing the windows, so it should come as no surprise. Cost can be a drawback, since the price of glass block windows can be rather steep, especially if extra finishes are added to the outside edges of the block. Finally, glass block windows are heavy, making them difficult to handle during installation.